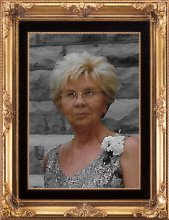 Joyce A. Downey, 78, of Perrysburg, OH, passed away on Friday, March 29, 2019 at Otterbein Senior Living, Pemberville. On October 15, 1940 she was born to Harold and Marjorie (Reitzel) Bahnsen in Toledo. On May 1, 1976, she married Paul Downey in Toledo and they have celebrated nearly 43 years of marriage together. Joyce worked as a beautician at various salons in the area for 40 plus years. She was a member at First St. Mark’s Lutheran Church in Oregon, where she had been part of the altar guild for a number of years. In addition, she was a member of the red hat society, she enjoyed flowers and especially loved her family; her children, grandchildren and great-grandchildren. It was her husband and family that gave her the most joy. In addition to her husband Paul, Joyce is survived by her children: Todd (Trisha) Eaton, Tonya Eaton Orth, David (Emma) Downey, Larry (Beth) Downey, Bruce Downey and Karen (Chas) Williams, 13 grandchildren, 9 great-grandchildren, brother: Richard (Betty) Bahnsen and numerous special nieces and nephews. She was preceded in death by her parents and brother, Jim Bahnsen. Friends and Family will be received 2-8 p.m., Wednesday, April 3, 2019 at the Marsh & Marsteller Funeral Home, 110 Main St., Luckey. Services will be 11 a.m., Thursday, April 4 2019 at First St. Mark’s Lutheran Church, 1121 Grasser St., Oregon. Officiating will be Rev. Robert Blohm. Interment will be in Lake Twp. Cemetery, Millbury. Memorials can take the form of contribution to: Hospice of Northwest Ohio or First St. Mark’s Lutheran Church. On-line condolences can be shared with the family at www.marshfuneralhomes.com. To send flowers or a remembrance gift to the family of Joyce Ann Downey, please visit our Tribute Store. There will be an additional time of visitation from 10 a.m. until time of service. Officiating, will be Rev. Robert Blohm. "Email Address" would like to share the life celebration of Joyce Ann Downey. Click on the "link" to go to share a favorite memory or leave a condolence message for the family.